Eileen Standridge lives in Decatur with her husband, Ed. They moved to Decatur in 2009, to be near their grandchildren. Eileen grew up in Graham, graduated from UNT with a degree in Home Economics, and Tarleton State University with a degree in mid-management. She has worked in several school districts in North Texas, retiring from Northwest ISD. After retiring and moving “home” to Graham, she completed her real estate coursework and became a licensed broker, working with Darrell Gilmore Real Estate and Mossy Oak Properties of Texas. 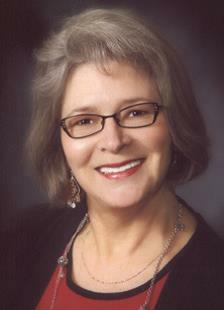 Currently, she serves on the Decatur Planning and Zoning Board and is an officer with the Decatur Rotary Club. Eileen enjoys cooking, making quilts, and assisting with grandkids. She also loves to look at homes and house plans, with an eye toward finding or creating the “perfect” plan for her clients. Eileen welcomes the opportunity to serve in the community and enjoys helping others. Whether you are looking to sell or buy a new property, give her a call and she will be glad to provide professional assistance.